Rev. 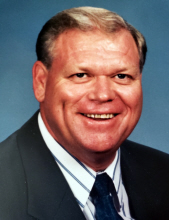 L. Joe Coppedge, 69 of Bolivar, Missouri passed away Tuesday, April 2, 2019 at his home. Joe was born on June 29, 1949 in Vinita, OK, the ninth of ten children to Lawrence and Agnes Coppedge. Joe attended school in Vinita and graduated in 1967. He then received a Bachelor’s Degree from SBU with a double major in Psychology and Biblical Studies. Joe then earned his Master of Divinity Degree from Midwestern Baptist Theological Seminary in Kansas City. In high school, Joe met the love of his life Judy Lea Bennett. The couple married on July 30, 1967 and shared 51 wonderful loving years as husband and wife. They had two daughters: Laura Jo and Clara Jean “Jeanie”. Joe was later blessed with his pride and joy, a grandson, Jose` Hernandez. Joe loved the Lord and spent over 45 years preaching the word for numerous churches across Oklahoma and Missouri and was currently serving as Director of Missions for Mid-Lakes Baptist Association. Joe loved spending time with his family and sacrificed greatly for them. Known to have a giant heart, he would help anyone in need. Joe's favorite activity was sharing the good news of Jesus Christ. Other activities included traveling and boondocking in his R.V., spending time playing cards with his brothers and sisters, working on the farm, and driving tractors with his grandson. Joe is preceded in death by his parents; daughter, Laura Jo; three sisters, and 2 brothers. Survivors include his wife, Judy; daughter, Jeanie Hernandez; grandson, Jose` Hernandez; granddaughter, Dakota Hernandez; son-in-love, Antonio Hernandez; two sisters Sue Schwartz and Peggy Colquitt; two brothers, Ron Coppedge and Bobby (Barbara) Coppedge; along with numerous nieces, nephews and other family members. To send flowers or a remembrance gift to the family of Rev. L. Joe Coppedge, please visit our Tribute Store. "Email Address" would like to share the life celebration of Rev. L. Joe Coppedge. Click on the "link" to go to share a favorite memory or leave a condolence message for the family.